To put it plainly, Edge of Eternity is a love story (and not to be confused with Ken Follett’s Edge of Eternity book … there might be some confusion there, and concerns with regard to the title …). I am not speaking of the plot or storyline within the actual game, but rather one being told by Midgar Studio that highlights some of the best aspects of roleplaying games in a wonderful mix between Western and Japanese-style (JRPG) games. Set in the huge and utterly gorgeous world of Heryon, your adventure will take you through a world so alien yet so familiar, that at times your breath will be taken away. Along your journey you will meet a wonderful cast of characters, each with their own unique backstory, skillset, and a genuine personality that is acted out wonderfully by the voice actors. Given how intricate and wonderful each area you visit looks, I sincerely hope that Midgar Studio is able to put in a screenshot / photography mode because holy crap … for a small studio of seasoned developers, this game looks damned good. The icing on the cake? It is also great to actually PLAY. 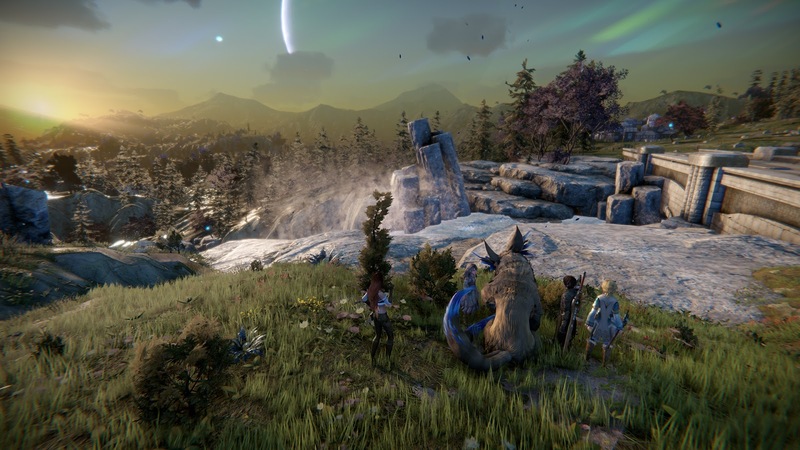 I have seen far too often that good graphics do not equate to good gameplay, but Edge of Eternity is wrapping up to be an excellent combination of the two. I do, though, have one significant, if personal, gripe with Edge of Eternity. While not as bad as my beloved Atelier games, Edge of Eternity has this issue where walking animations and the speed with which the characters move, does not match. This makes the characters look like they are gliding along the ground rather than actually walking. It is a nitpicking thing, but it bugs me to no end and really breaks the experience. With the more realistic graphics of Edge of Eternity though, it is far more annoying than the anime-inspired style of the Atelier games. Please keep in mind that Edge of Eternity is currently in Early Access so there are bound to be issues, crashes, or confusing elements as the game is still in development. One such glaring item is the UI; it is still full of simple placeholders and is relatively bad with regard to its look and overall design; have some patience though, as it will surely be changed with coming updates. Other issues might crop up as well, while I myself have not had any serious crashes or issues, I have seen reports from others that they were running into problems. Most, though, seemed to be addressed (or rather, lightly mitigated) by ensuring your graphics card drivers are up to date. I do think that non-combat control could be improved a little, but it is largely passable (interacting can be wonky sometimes). Though there may be odd behavior that, at times, can be frustrating (patience! ), there is one aspect I am enjoying thoroughly and that is the combat. 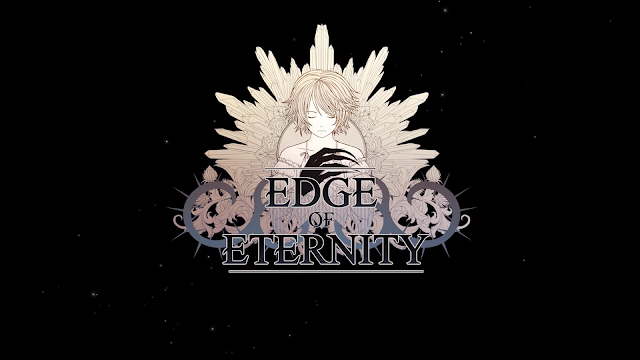 Hearkening back to the Good ‘Ol Days where turn-based RPGs ruled the day, Edge of Eternity uses a general style of combat not all that unlike Final Fantasy IV though X, colloquially called “ATB” or “Active Time Battle.” Frankly, I love it. A lot of nostalgia going on there and it will really come together as level progression (which, from what I can tell, may be very Western-inspired, though at the time of this writing there was limited access to that information/gameplay feature) happens. Plus having an actual user interface would be nice … I REALLY hope that what we have is not what is being included; it is too glow-y and Sci-Fi minimalist, which does NOT fit the aesthetic, alien as it is. 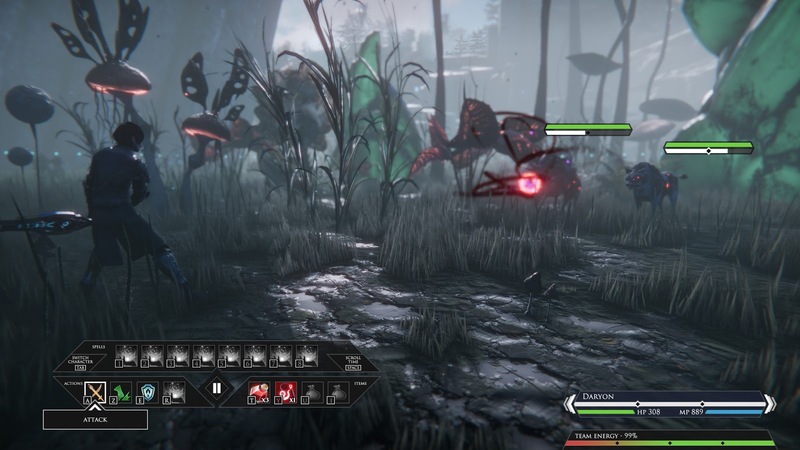 Though limited due to its Early Access state, Edge of Eternity is moving along, albeit slowly, yet is in a fully playable release. Even if it is only a few hours long, the Early Access gives you more than enough to show just how much potential there really is in it. I might have a few little concerns about it, mainly the way people move and some of the optimization issues I saw, but Edge of Eternity is still a solid experience with plenty of substance. Hopefully by the end of 2019 we will see a more fleshed out and fully optimized release, but for the time being, what we have in Early Access is an excellent introduction into Heryon.